In Martial Esoterica Thomas R. Joiner focuses on Chi Kung’s mystical origins. He discusses the divine art of Chi Kung and the internal art’s relationship with Mysticism. 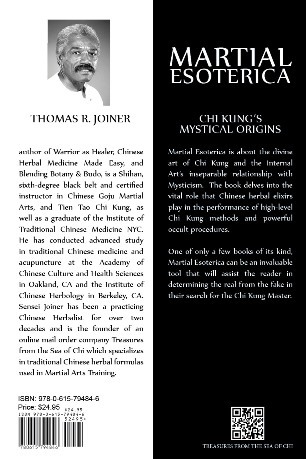 The book delves into the vital role that Chinese herbal elixirs play in the performance of high-level Chi Kung methods and occult procedures. This book provides a description of Chi Kung’s relationship with mysticism, which includes a discussion on the golden elixir, harmonizing the three treasures, the field of the elixir, and the small heavenly cycle (micro-cosmic orbit). It delves into Wei Dan External Alchemy the Chinese herbs used in Chi Kung, including chi tonics and longevity formulas. The book analyzes the benefits of calming the shen (using meditation and supplemental practices), including spiritual cleansing, herbs used to calm the shen, and discusses supplemental practices: the five postures, chanting and mantras, candle gazing, salutation to the dawn, and the crane dance. Additionally, it contains a conversation on the benefits of conservation and transmutation of sexual energy, and Chi Kung’s dietary principles. 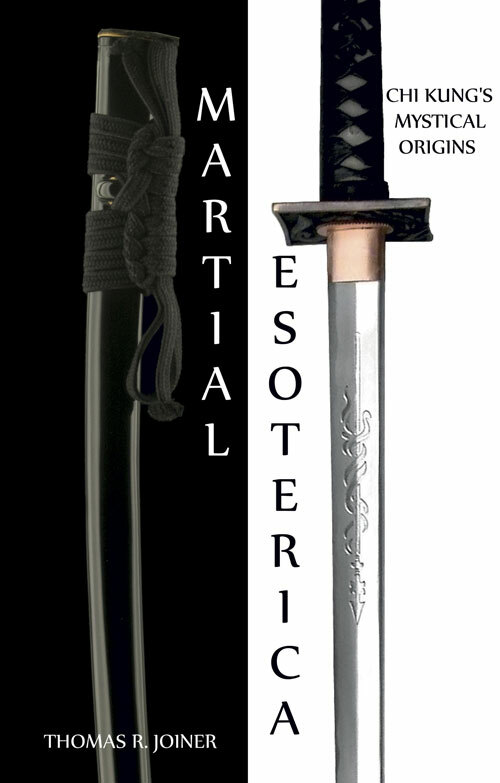 It closes with a discussion on (what to) search for in a Chi Kung Master, and the author provides Chinese herbal prescriptions for the formulas mentioned throughout this book as well as complete processing instructions. 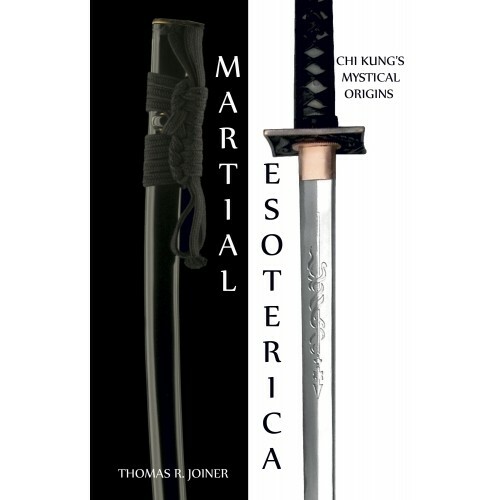 One of only a few books of its kind, Martial Esoterica can be an invaluable tool that will assist the reader in determining the real from the fake intheir search for the Chi Kung Master. Like to review a few pages of this book?